Purple Turtle Gifts Tee Shirts - Purple Turtle Gifts uses several different tee shirt suppliers and brands. 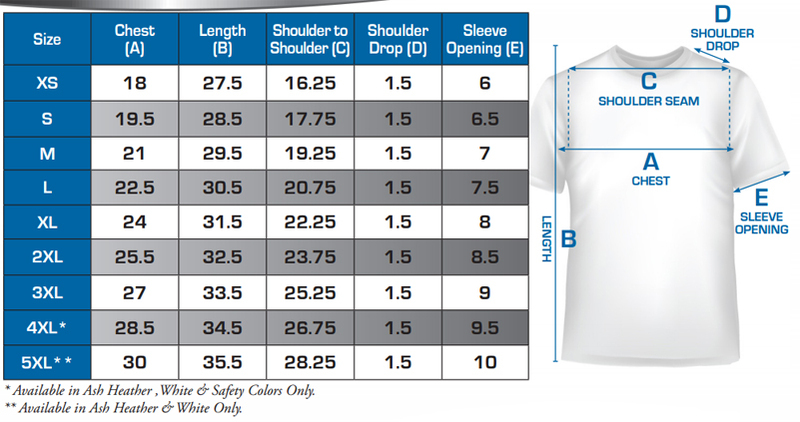 However, the preferred vendor is Vapor Apparel and thus the shirt sizes below are from them. We reserve the right to use other brands so if size is an issue please contact us.